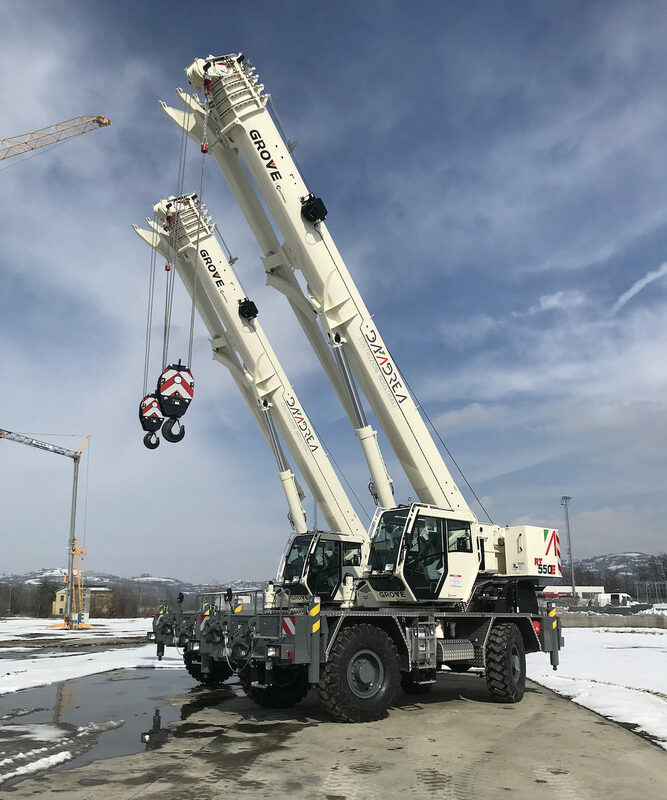 The Officine Dandrea company, located in Basilicate in the south of Italy, has announced the acquisition of four Grove all-terrain cranes of a 45t capacity. Working mainly in tough and heavily congested petrochemical environments, the company needs machines working at the highest level of performance with the smallest footprint possible. The RT550 E, with its 39m height, 12m length, 2,55m width and 29t weight, « fits our requirements perfectly », stated Giacomo and Nicola Dandrea, owners of the company. Both units have been delivered in March 2018, the third and the fourth will follow in the next coming months. The operation has been handled by Fimi SpA, Manitowoc’s dealer for Grove mobile cranes in the south of Italy.